If you’ve been learning German for a while, you probably know a few ways to say goodbye in German. 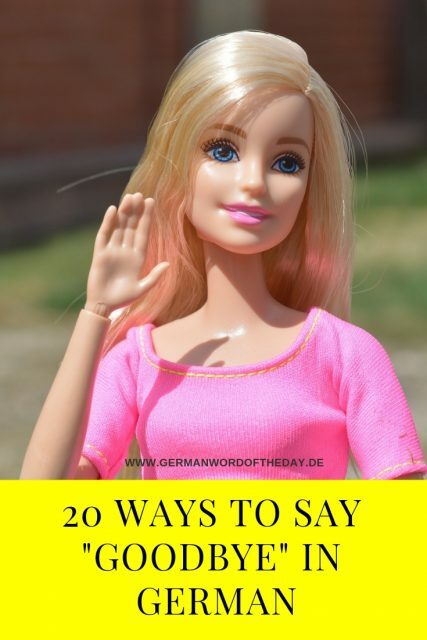 In this post, we will look at 20 different ways that you can say “bye” in German so that you are not stuck with the same phrase all the time. 1. 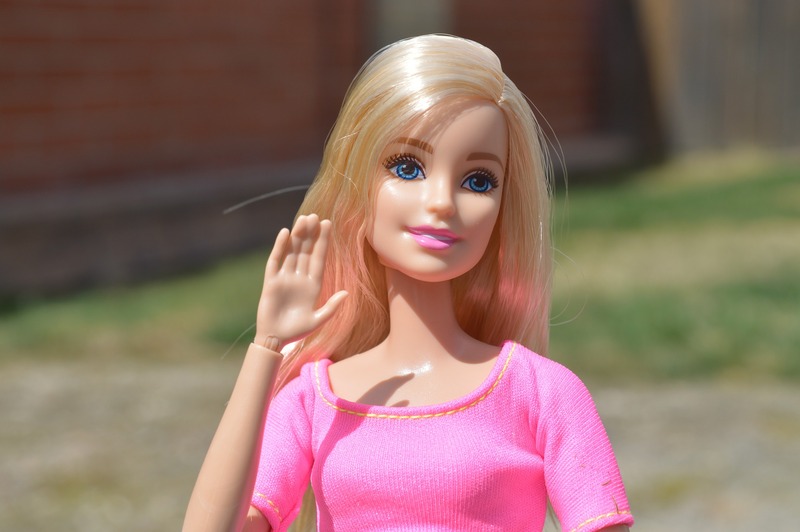 Tschüß – bye – this is probably the most common informal way to say bye in German. 2. Ciao – bye – you can hear this Italian word a lot in Germany. Young people, in particular, like to use it to say ‘bye’ and you will probably hear it as often as German “Tschüß”. 3. Auf Wiedersehen! – Goodbye – this is a standard formal way of saying goodbye in German. 4. Auf Wiederhören! – Goodbye (on phone) – it literally means ‘until we hear (each other)again’. 5. bis gleich! – see you soon – you can use it if are going to meet the person again in a few hours. 6. bis später! – see you later! 8. bis nachher! – see you afterwards! 9. bis bald! – see you soon! 10. bis nächste Woche! – until next week! 11. bis zum nächsten Mal! – see you next time! 12. Bis Montag/Dienstag/Freitag – until Monday/Tuesday/Friday – insert the day when you are going to meet the person again. 13. bis morgen! – see you tomorrow! 14. Schönen Tag noch! – Have a nice day! 15. Schönen Abend! – Have a nice evening! 16. Schönes Wochenende! – Have a nice weekend! 17. Komm gut nach Hause! – Get home safe! 18. Mach’s gut! – Take care! 19. Viel Spaß! – Have fun! 20. 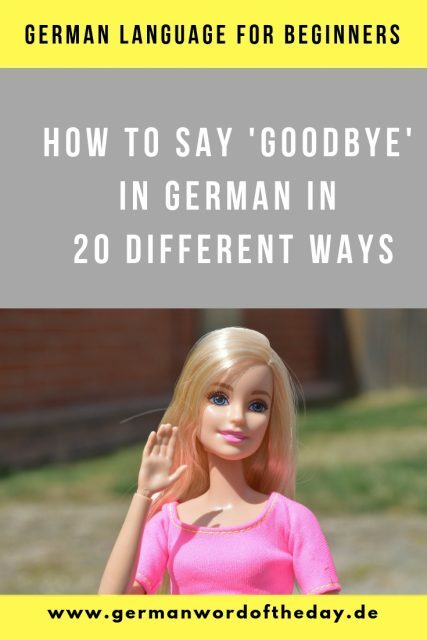 Apart from all these phrases that are common everywhere in Germany, there are some ways to say goodbye that are more popular in particular German regions and other German-speaking countries. Some of them are Adieu, Salü/Sali, Servus etc. What is your favorite way to say goodbye in German?